It’s our Holy Father’s last day in America, and we are sad that we only have a few hours left with him. It’s been so comforting to know he is here, and even though he’s still 1,700 miles away, this may be the closest we’ll ever get to him. Hopefully you’ve been able to follow his visit through EWTN’s live coverage (which you can find on our website texasnuns.com), and read the transcripts of his homilies and addresses (which, by the way, you can also find on our website). Last night Pope Francis addressed families at the Festival of Families. 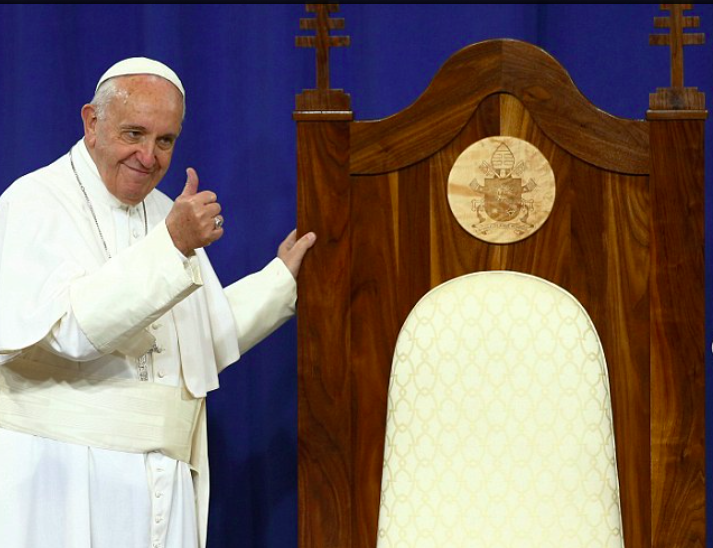 Despite all his stops, including his trip to Cuba before coming here, attending the World Meeting of Families was the reason for the Pope’s visit to America. Everything else was just extra. His address to families last night was our favorite so far, and it looks like it might have been his favorite encounter with the faithful, too – we saw him animated and joyful, humorous and encouraging, as he spoke to families from around the world. If you didn’t catch it already, please take 20 minutes to listen to his address. And if you’ve already seen it, it’s worth watching again. Plus, we just like to hear the soothing voice of his translator, Msgr. Mark Miles. 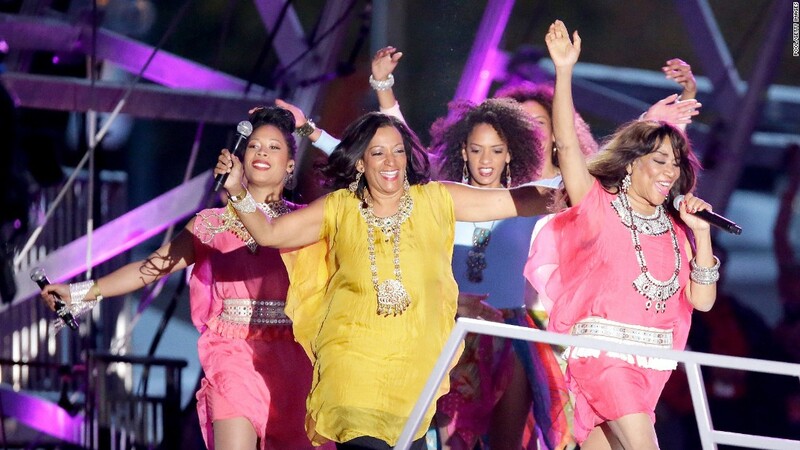 When we were listening to Sister Sledge is was kind of weird – we were having flashbacks to the radio studio…as if our show was about to start…. This entry was posted in Pope Francis and tagged Festival of Families, Philadelphia, Pop Francis by texasnuns. Bookmark the permalink. Thank you for posting this, Sisters. I missed that beautiful from the heart speech from the Pole in Philadelphia. It felt as if it lasted 5 min, not 22 min. The Msgr translator needs a raise! He did a wonderful job. 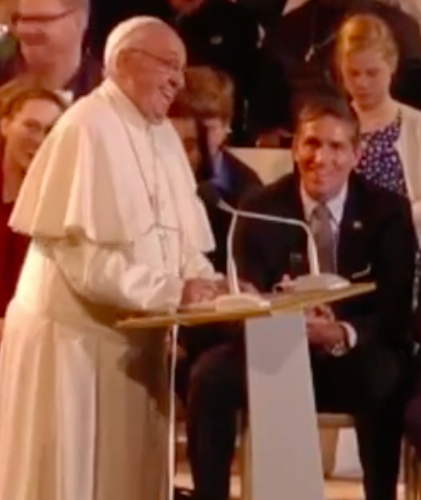 Jim Caviezel may have been preparing for a future role to play a future saint? God does work in mysterious ways! Happy feast day on this the vigil of the great St Michael the Archangel and of course St Raphael and St Gabriel !